Established in 1947, Pioneer has grown from a tiny engineering shop in Kent, employing 3 staff, to a 32,000 sq.ft. factory with 40 staff and a turnover of £3m. Why choose Pioneer for your product line? Design and development carried out in-house allows us to hit the ground running and rectify problems or make adjustments quickly. Making small batch runs is something we are used to and enables you to test your design or market reaction to your product. Our flexibility is one of our greatest strengths meaning we can ramp up production quickly or change colours etc. for different customers or requirements. Save money and time by having us handle design, development and production in one place. From quoting through to delivery and service support, we can support you at every turn. We love what we do and we strongly believe that British manufacturing can compete with the best in the world. We’ve made it our mission to understand our customers’ needs and to build trust with them. How does this help you? Well, it's all about accountability. ISO9001 is an internationally recognised Quality Management System focused on meeting customer expectations and delivering customer satisfaction. 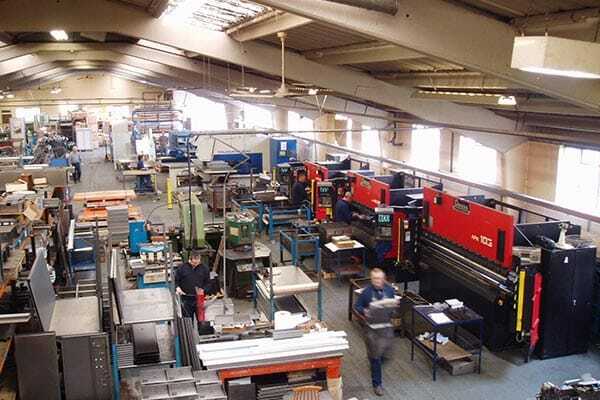 Your product will be manufactured by our skilled and experienced workforce.